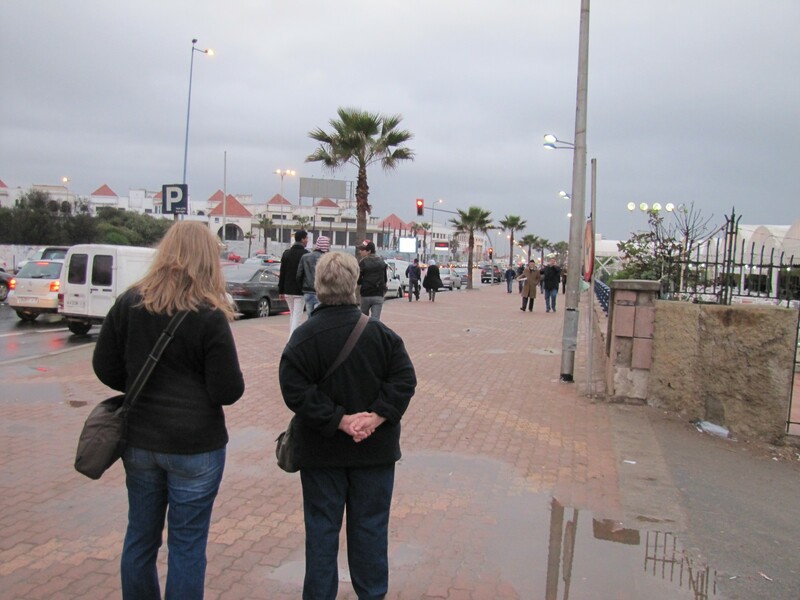 On our first evening of our tour of Morocco we braved the wet conditions to go for an evening walk. After sitting in planes for many hours we were all pleased to get out, stretch our legs, get some fresh air and exercise. Most of the rain had by then dissipated and the wind was minimal, though quite cool. On all of our six week trip this was the only rain we had, except for some light drizzle in Spain one morning a few weeks later. 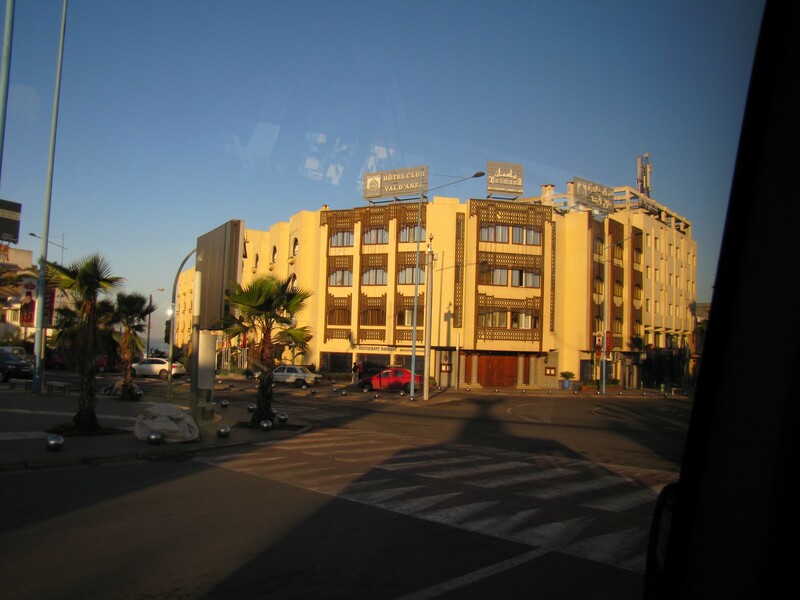 I would dearly have loved to have had the time to explore this exotic city in much more detail, but we had arrived late afternoon and were scheduled to leave on our guided tour early the next morning. After our walk we had a short rest in our rooms, then decided to use the hotel restaurant for dinner. We sat with a woman from Canada who was also doing the tour with us, so it was good to get to know her and share some travel experiences and backgrounds with each other. After dinner we had a tour group meeting with Said, our guide, and were able to meet the other people in the tour group. They were a mixed group of people from Australia, China, USA, England and Canada with ages ranging from late 20s to mid 70s. Whenever I go out birding, or when we are travelling out in the country and my wife is with me, I keep one eye on the birds and the other on the vegetation. Being a little cross-eyed like that probably means I miss a few plants or birds and sometimes nearly step on venomous snakes. Joking aside, I once had a red-bellied black snake crawl over my boot while checking out a birding spot. I swear that my feet didn’t touch the ground for at lest five metres! On our recent visit to Yorke Peninsula here in South Australia we were on the lookout for flowering plants of any description and especially these delightful bell shaped correas shown in the photos. We were not disappointed and saw plenty. The photos on this post are all in a small area on the sand dunes at Penguin Point near Marion Bay. Penguin Point is a well visited tourist destination in the small holiday town on Marion Bay at the southern tip of Yorke Peninsula in South Australia. Just to the south east of the town – perhaps a 5 – 10 minute walk from most places in the town – there is a car park with board walks through the sand dunes leading out to Penguin Point. From the headland one has excellent views over Marion Bay to the north and towards Rhino Head to the south west (see photos below). While I’ve never seen a penguin here it is entirely possible that Little Penguins do visit this area, and may even nest in the region. I didn’t record many birds on this most recent visit because the wind was near gale force by lunch time and they were all keeping low in the coastal bushes. I did manage several good shots of an Osprey soaring overhead on the wind as well as a Rock Parrot walking along the path in front of me. On the second day of our recent short holiday on Yorke Peninsula here in South Australia we drove from Edithburgh where we were staying to the town of Yorketown. Here we refueled and also visited a local nursery. My wife has a small nursery of her own and is always on the lookout for native Australian plant nurseries to visit, just like I’m always on the prowl for bookshops. We then drove to Marion Bay near the heel of the peninsula. Many years ago we had several very enjoyable beach holidays in this small town. It had been quite a few years since our last visit, so we were interested in seeing what changes had occurred in recent years. The original beach shack area in the old part of this beach village had changed little, but there has also been considerable building going on to the south with many new – and expensive looking – houses. Many of them were obviously holiday homes and not permanent dwellings. We stopped in the car park at Penguin Point. 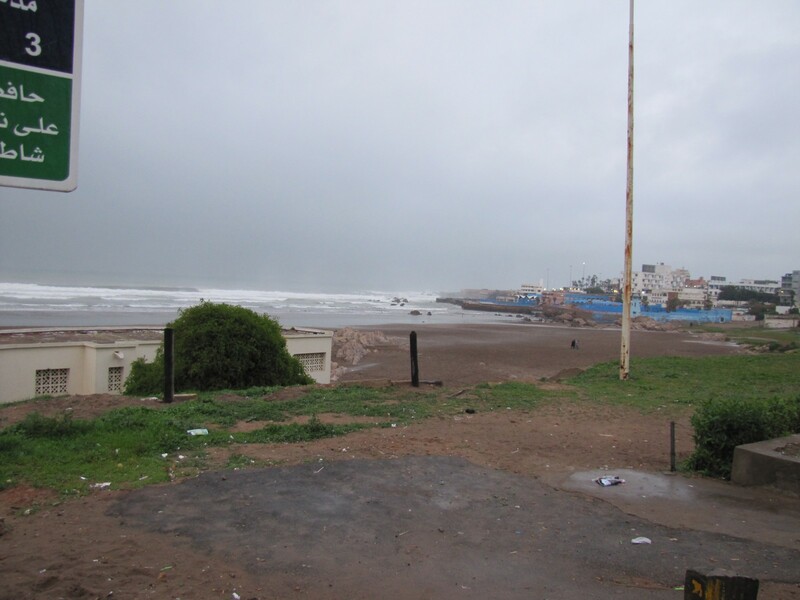 We had to sit in the car to eat lunch as the wind had intensified during the morning and was by then almost gale force. Not at all pleasant to be sitting outside. In fact, I tried to take a few photos of two Ospreys soaring on the wind above the bay and had terrible trouble keeping on my feet to take the shots.